Let’s check how good you are in geography. Do you know what is the capital of Portugal? Was the capital always the same? If you don’t know, then read this article to find out. The capital of Portugal is Lisbon – an amazing and beautiful ancient city, which charms everyone, who visits it. Yes, including me. Lisbon is one of the largest metropolitan areas in Portugal at 3,015 square km (1164 square miles), which is 3% of the total area of Portugal and continues to grow with each passing year. The city houses the administration of Portugal and is, therefore, a hub for both residents as well as international guests. It’s estimated that over 20 million people fly in and out of Lisbon Airport annually, that includes all business and personal travel, but there are also over 140,000 people who visit Lisbon each year as tourists. To understand the population and demographics of Lisbon, it’s important to consider the fact that the city limits are different than the outlying urban areas. Within the city of Lisbon, the population exceeded 500,000 people, but when we consider the outlying urban areas the population grows dramatically. It’s estimated that in the areas surrounding Lisbon there are 2,800,000 people. The total population in 2019 is 2,942,097 people, which make up 5.2% of the total population of Portugal. The majority of the Portuguese people live in urbanised cities than in rural areas. They migrate to the larger cities because of better educational institutions, work opportunities, healthcare and other benefits. Portugal has no official religion, but in 2018, it’s estimated that anywhere from 60-70% of the overall population identifies themselves as Catholic. An interesting fact is that although the percentage is high for the Roman Catholic Church, the number of actual attendees is relatively low. Only about 30% of all citizens of Lisbon regularly attend Mass and take the sacraments. Although Church and State were formally separated during the Portuguese First Republic (1910–1926), reiterated in the constitution of 1976, Roman Catholic precepts continue to have a significant bearing in Portuguese society and culture. Getting around Lisbon is quite easy as there are a lot of options for the traveller, as well as, the residents. The most popular way to get from one place to another is in the Metro. Lisbon Metro was opened in 1959 and comprises of four lines, identified by individual colours (blue, yellow, green and red), with a total length of 44 kilometres (28 miles). Metro lines run between 6:30 am until 1 am and are the fastest way to get around the city, as the traffic has increased drastically in the last years. Apart from the Metro, there are also trams, trains, buses and ferries to take you where you want to go. For more detailed information about getting around Lisbon, read our Lisbon Public Transport Guide. The average amount of time people spend commuting with public transportation in Lisbon, for example to and from work, on a weekday is 59 min and the average time of waiting at a stop or station for public transportation is 14 minutes. Education in Portugal is regulated by the State and supported by the Ministry of Labour and Social Solidarity. 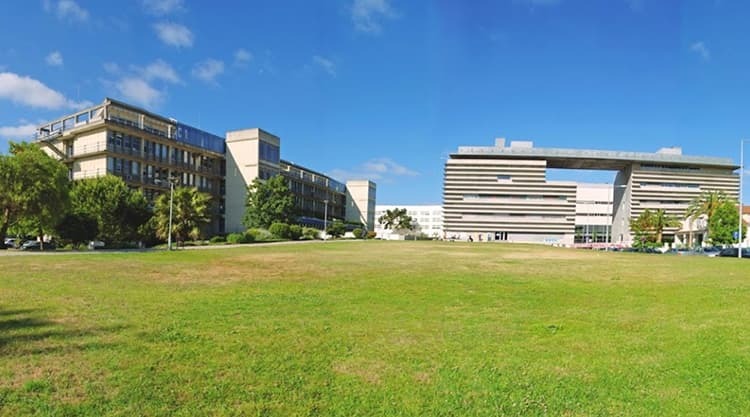 The Ministry of Education (primary and secondary education) and the Ministry of Science, Technology and Higher Education (higher education) are jointly responsible for the entire Portuguese education system. In Portugal, from pre-school to higher education, you can opt either for a state school (generally free) or a private school. Defined as the first stage of basic education in the lifelong learning process, pre-school education for children between the ages of three and five is still optional, but it does give them a good start on education. Basic education (“ensino básico”) is compulsory and free for everyone. It’s intended for children aged between six and 15. Pupils receive a certificate of basic education at the end of the third stage. The first cycle lasts for four years and is taught by one teacher. Emphasis is placed on the integrated development of studies and activities. The second cycle lasts for two years and covers interdisciplinary areas of basic education. The third cycle lasts for three years and is structured as a set of disciplines incorporating various elements of vocational training. Classes are taught by a single teacher per subject. Secondary education is a cycle of specific studies and includes various courses intended principally to prepare young people to go on to higher education or to enter the labour market. It spans three years, corresponding to school years 10, 11 and 12. Portugal has two main systems of higher education: the University system (which is the oldest, its origins in the 13th Century) and the Polytechnic system. More information about Universities in Portugal can be found here. Faculty of Sciences of the University of Lisbon. The Lisbon region is the wealthiest region in Portugal and it’s well above the European Union’s GDP per capita average: it produces 45% of the Portuguese GDP. Lisbon’s economy is based primarily on the tertiary sector (most of the headquarters of multinationals operating in Portugal are concentrated in the Oeiras municipality, which is called Grande Lisboa subregion). Besides that, Lisbon is the country’s chief seaport and is also developing as an important financial centre and a dynamic technological hub. It also has the largest and most developed mass media sector of Portugal and the Lisbonite industry is well known for its large sectors in oil, as refineries are found just across the Tagus River. So as you may have noticed, Lisbon is the main sector of the Portuguese economy. Lisbon has a long tradition in sports, but the most important is football. Lisbon hosted several matches, including the final, of the UEFA Euro 2004 championship. 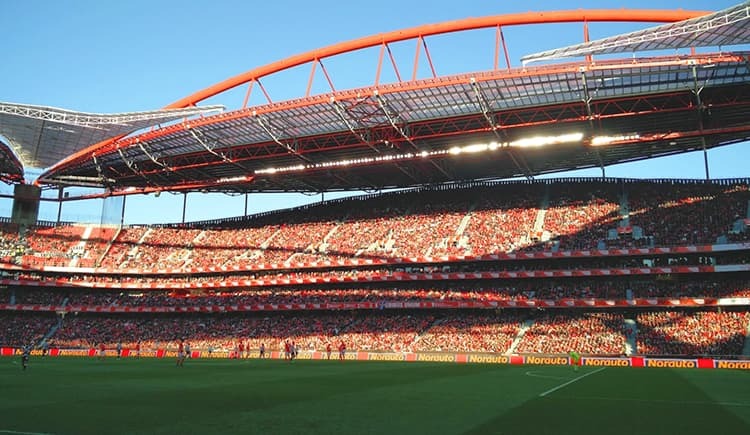 The city has three association football clubs in Portugal’s highest league, the Primeira Liga, but the most well-known is Benfica, who has won 36 league titles in addition to two European Cups. Benfica football game in Lisbon. When was Rio the capital of Portugal? You may have learned in history class that Lisbon was not always the capital of Portugal. 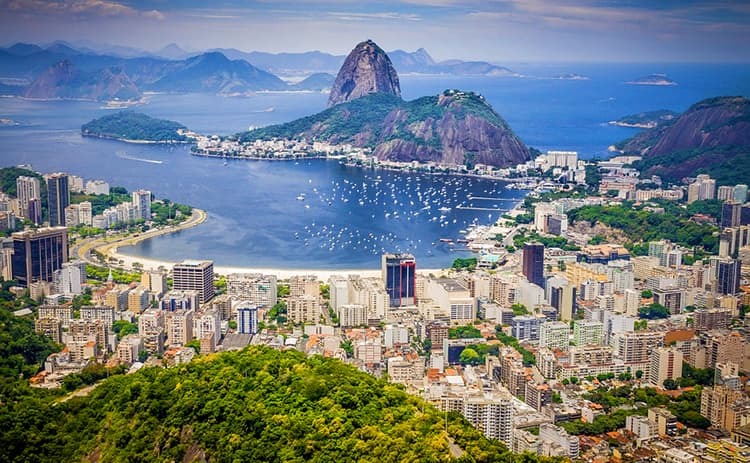 There was a time in a Portuguese history when Rio de Janeiro, the capital of Brazil, was also a capital of Portugal. How was it possible that the capital of the European state was a city in South America? As the Spanish conquered their way down the western side of South America, the Portuguese had a blank map in regards to the east and claimed the resource dense area, which became the Portuguese Empire’s largest state, Brazil. In 1763, Salvador, the capital of Brazil, was stripped of its crown, which was handed to Rio de Janeiro. In October 1807, as Napoleon Bonaparte’s army was commanding its way west through Europe, Spain agreed to sign a secret treaty with France in which they planned to divide Portugal. Luckily, the United Kingdom of Great Britain and Ireland came to the aid of the Kingdom of Portugal and declared war on both France and Spain (the Peninsula War). Foreseeing an inevitable invasion, the Royal Family escaped the nation’s capital of Lisbon just days before it came under siege, landing in the capital of Brazil, Salvador. In spring of 1808, Prince John and the Portuguese Royal Court arrived in Rio de Janeiro, and then in December, Prince John created the United Kingdom of Portugal, Brazil and the Algarves. 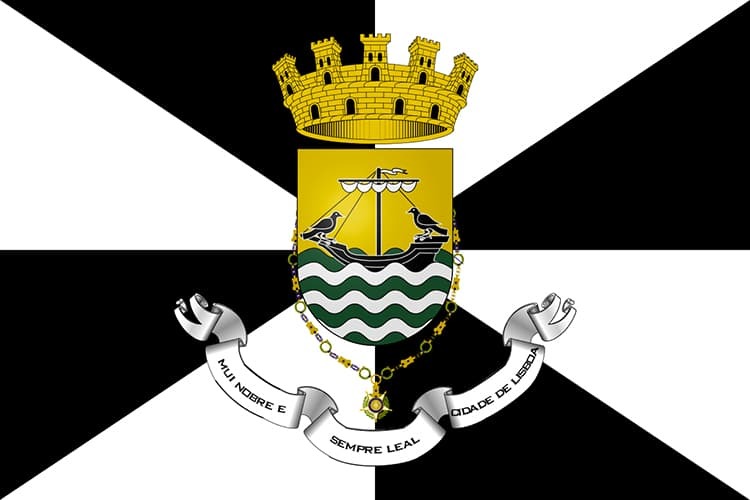 As the Royal Family was situated in Rio de Janeiro, the city became the capital of the United Kingdom of Portugal and the Royal Family remained there until Napoleon’s defeat in 1814. In 1821, the Royal Family departed Brazil and came back to Lisbon. Rio de Janeiro remained the capital until 1822, a total of 13 years. This is the only case in history, where the European state had its capital outside of the continent. How much do you really know about Lisbon? From strange curiosities to mind-blowing secrets, meet my five facts about Lisbon which you probably didn’t know. The beautiful Belém Tower is one of the city’s must-see landmarks and architectural wonders, but many people don’t know that it was used as a political prison during the Liberal Wars of the 19th century. Tip: find out more about Belém Tower and other must-see monuments in: Top 10 Monuments in Lisbon. If you pay attention to the details of the city, you will notice the flag of Lisbon during your stay. In this flag, there is a ship at sea and there are two ravens at both ends of the ship. Why are there ravens? According to legend, two ravens are said to have accompanied the relics of the patron saint of Lisbon, Saint Vincent of Saragossa, on the journey from Cape Saint Vincent to Lisbon. 3. Is Lisbon really a city on seven hills? No, actually it’s a city on eight hills. The idea of a city on seven hills, like Rome, is certainly a romantic one and perhaps that’s one reason why this description of Lisbon stuck. The original reference came from a book called “O Livro das Grandezas de Lisboa”, where the author listed seven beautiful hills, but forgot the highest of them all – the hill of Graça. Livraria do Simão is one of the smallest bookshops in the world, at only 3.8 square metres (409 square feet). Nevertheless, it’s able to hold 4,000 books! It’s so small that when a customer walks in, the shop owner usually has to walk out. Pastéis da nata (more than one pastel da nata), are the most known pastry of Portugal loved by locals and tourists. Even though they are made all over the country and found in nearly every pastry shop, only three people in the world know the original recipe. Do you know about any other Lisbon secrets? Let us know in the comments below. The biggest city, of course, is the capital of Portugal, Lisbon, with a population that has exceeded 500,000 people. The second biggest city in Portugal is Porto located in the north of Portugal along the Douro River. It has only half the population of Lisbon, 249,633 people (at last official count). The third place takes Amadora, which is an urbanised city located in the Lisbon District. The population of Amadora is 178,858 people. I hope this article helped you to find out a bit more about the capital of Portugal and I answered all of your questions. Thanks for reading. Liked this article? Subscribe to our FREE newsletter to always know when we publish new stories about Portugal.